So not to hop on the cliche wagon, but we (my husband and I) have decided to try to loose weight again. It's not new year related, though, it just happened to fall during this time. 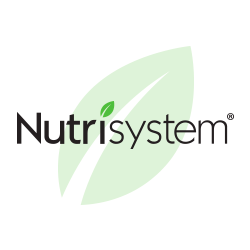 About 4 years ago, we did Nutrisystem for a couple of months and were happy with the results. In that two months I had lost 20 pounds! Thats the kicker. I lost all that weight and was so proud of myself, feeling the best I had in a while. Of course I had to get pregnant so I couldn't enjoy my new weight for very long. Don't get me wrong, I was very happy that we were going to have our second child. I just knew that it would be some time before I hit that weight point again. I had my daughter and then about 1.5 years later, got pregnant with my son. Anyways, we are now ready to start again. We've ordered Nutrisystem again and are excited for the results. Before we started, we had to clear out the pantry and fridge. Let me remind you, we've just finished with all the "food" holidays! With three kids eager to help clear out all the cookies, crackers and candy, it wasn't too bad though. Once that was all cleared, we knew we wound't have as many temptations. Last time we skipped the "Turbo" week and went straight into the meals we purchased. The "Turbo" week is a box of food sent that will kick start your weight loss. It is preselected meals that you do not get to chose. This time we are doing it. It is suppose to almost shock your body into the diet. The food you eat this first week is significantly less than what you are allowed to eat later. For someone who is used to snacking on her kids foods (me), this is hard. When I added up my calories yesterday it was under 1000! In two days though, I have gone down 3 pounds. The fact that I see results helps me to keep going. I can do this. And with my husband doing it as well, we can keep each other motivated and on track. 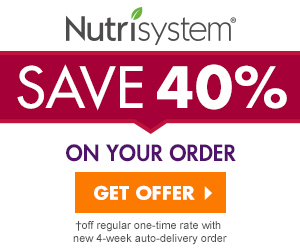 I'm excited to see how I'll feel in two months after using Nutrisystem, and adding excersize into my routine. Be on the lookout for updates!